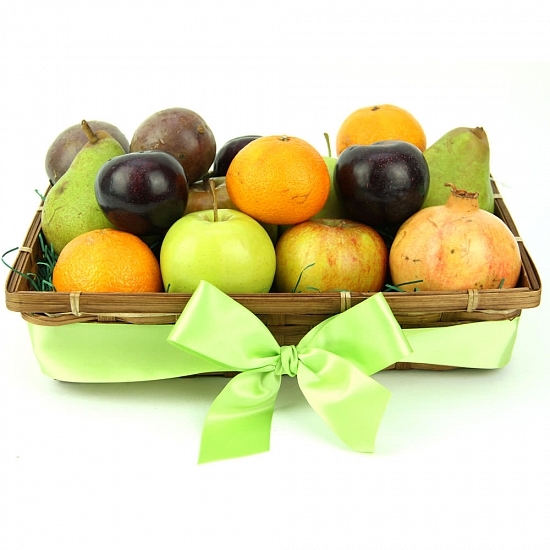 This Just for You Fruit Basket is a treat for juice lovers out there who are fond of fresh juices. This Fruit Basket delivered is a lavish collection of juicy fruits like oranges, apples, plums and pomegranates which will fulfill your desire to have fresh juices from nature's garden. You can select this fruit basket for your loved ones to mark their celebrations of Birthday, Anniversary, Christmas, Thanksgiving, Congratulations or Just For. Wrapped in a can basket with silky ribbon, the fruit basket delivered by post to UK will be a joyful experience.